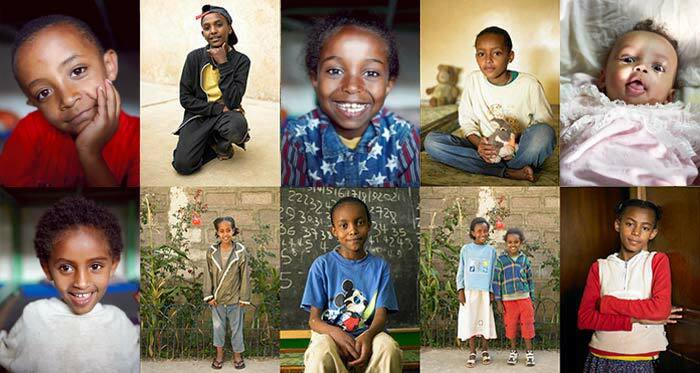 Hailing from Mekele, in the isolated northern part of Ethiopia, Abebe is a beautiful 11 year old girl, whose compelling story signifies the hope, dignity and love which is all part of the Kidane Mehret Children's Home. Abebe was born with significant deformities due to polio, a disease which is thought by many to be eradicated, but which still takes its toll on children in developing countries. In her early years, Abebe faced life with an enduring spirit of hope, in the face of adversity, knowing that he was different to the other children, because of her severely disabled legs. She underwent several surgeries, and after the first one, doctors thought that she would never walk again, and she was sent to a home for children with disabilities, where, arguably, she could have spent the rest of her life, completely immobile. Sister Lutgarda, the director of the Kidane Mehret Children's Home heard of Abebe's plight, and quickly made arrangements for her to come to KMCH in 2007. It was Sister's prayer that surgery could be performed yet again on Abebe's legs, to give her more independence. In her face, Sister Lutgarda, and indeed the orphans of Kidane Mehret, saw a little girl full of potential, and full of life. Her biggest challenge was showing the world that she could stand on her own two feet. Abebe often felt embarrassment and shame, when she moved slowly with her two assistive devices. Playing with her friends only highlighted her differences. Sister Lutgarda arranged for Abebe to be taken to the Cheshire Hospital, an internationally renowned institution, where doctors performed specialized surgery on Abebe's legs again. Volunteers from Kidane Mehret quickly mobilized fundraising for support of this noble cause, to help Abebe be free from her crutches, and move without physical pain, or emotional shame. After a long and painful recovery, Abebe now walks with only one simple aid, and both of her feet touch the ground. With a comfortable prosthesis, Abebe says she feels like "one of the others" and is far less secluded and alone. She can now have fun with her friends, running and skipping at her own pace. Abebe is very grateful for her surgeries and is very appreciative to the Kidane Mehret Children's Home, which is now her home, a place where dreams can come true. Today, you will find Abebe drawing and painting. She loves art, and is doing well in grade 6 at school, catching up on lost time due to her illness. In Amharic, Abebe means flower. For the Sisters and other children of KMCH, Abebe has been a flower, a little girl full of life and beauty, ready to blossom and thrive, with just the right amount of care, love and attention. 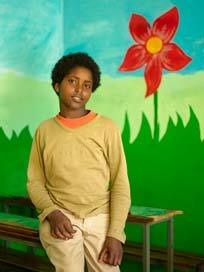 To learn more about how you can support Abebe and other Flowers of Addis Ababa, please continue reading.